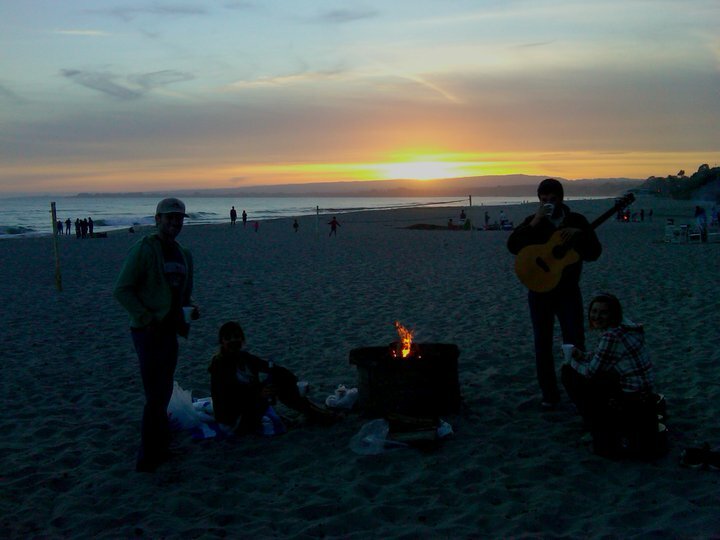 The other night we had a small beach bonfire with my sister, brother, and his new girlfriend. 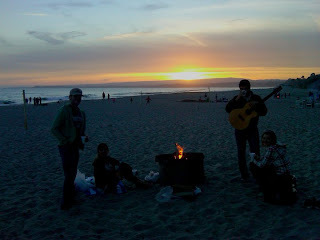 In Santa Cruz, after all, the obligatory bonfire is the go-to venue for meeting new significant others. We all loved his girlfriend and had fun laughing, roasting marshmallows and playing guitar -- yes, we sit Indian-style around bonfires playing guitar -- as we watched the sun set. Soon the landscape turned black save for a few small glowing fires just down the shore. I thought nothing of it since there were five of us around the fire (two men), and the last thing I thought was to be scared of what could be out there in the dark. Not only were we on a relatively sheltered part of the beach but we were also in front of a posh beach resort, where the only scary people are those with copious amounts of Botox between their eyes. So there we were, taking turns repeating lyrics as comedic spoken word from some of the most crass rap songs we could think of, when a figure emerged from the darkness around our bonfire. He held a piece of driftwood and his arm was outstretched as though it was guiding him toward our fire. We abruptly stopped our Lil-Jon-as-spoken-word fest as he placed the wood in our fire and joined us, cross-legged on the sand. The man, who had to have been in his mid-20s, had a wild look in his eyes, his clothes were dirty, his hair long and dreaded. By firelight he resembled part-Jim Morrison and part-Charles Manson. None of us said anything until he spoke. Random vagrant: "There's petroleum in this fire. I can smell it." RV: "I just inhaled it. Do you smell it? Do you?" Me, in a conversational tone: "I don't think there's any petroleum in this fire." RV: "Yes there is. I saw it from a distance. I can see things, you know. I can see the cancer growing in all of us. In all of you. I see radiation in people's eyes." Me: "Interesting... Are you from around here?" RV: (Laughs.) "No, I'm from Connecticut." Me: "Wow, you're a long way from home." RV: "I have no home. ...I don't belong anywhere... I go where I want." Me, as though I hear this every day: "That's cool." RV: "I once took 56mg of shrooms." (He laughs maniacally again and suddenly everything is quite clear to us.) "I also took acid a couple times. Those two blotters of paper, man, they changed my life." Me: "It sure seems that way." RV: "And you know when I took the acid I saw people for who they were, I saw the truth about humanity in the eyes of everybody I passed. I saw the death growing in each of us..."
RV: "...people live their lives and they don't remember they're going to die someday. We're all going to die. How can you ignore something like that?" (He giggles for a minute.) "I know we're all going to die. People forget about that. But I see. When I look at people, I can already see they're dead." Me: "You do have a point." RV: "After the acid...I just never looked at things the same again. RV: "I have a son. His name is River, he's three years old. His mother was pregnant with him when I decided to marry her." Me: "You have a son? How old are you?" RV: "23. But I don't see him anymore. His mother won't let me see him. I know why -- it's because she's a demon. I've married a lot of people, in my own way. Not by society's way. One day I took shrooms and told her I wanted to marry her by the ocean so we did, but when we were standing there, marrying each other, she turned into a demon." RV: "...So I ran away. I couldn't marry a demon. Then law enforcement wouldn't let me see my son after that." My brother, who begins to stand up: "We're going to start heading up to the car." Brother to random vagrant: "Hey man, you can have the rest of the fire. Stay warm here as long as you want tonight." Us: "No, it's fine, enjoy the fire." We start to walk away with our guitar and towels and marshmallows and realize RV is following us up the dark path we need to climb to get back to our car. My brother's girlfriend grabs my arm and we put our heads down and run up to the front of our group since RV is lagging toward the back, talking to J about demons and Connecticut and this girl he once knew who had pentagrams burned into her arms by her parents. Now I'm not scared of homeless people and I'm not scared of drug addicts, but I am scared of the unpredictability of a homeless drug addict and what said person is capable of doing to a handful of unarmed beachgoers on a dark hillside path. We collectively decided by a few raised eyebrows and shared whispers to follow the trail up to the resort instead of taking the fork toward our car. Being in the vicinity of resort-goers en route to their bungalows sounded much better than being murdered in a thicket of Eucalyptus trees. My brother began fumbling with his blackberry, and before he realized it was on speakerphone, a loud "911, how can I help you?" cut the tension and RV's murmured conversation he was having with himself behind us. We couldn't help but giggle as RV, completely ignorant of why 911 could possibly be called, said "That's a random number to accidentally dial." Once we reached manicured landscaping we took a hard right up a cement path past a jacuzzi full of overly tanned men, and RV absentmindedly kept walking straight, into the gullet of the resort area. Whew. After taking his phone off speaker, my brother told police that RV wasn't a threat but needed to be picked up from the grounds for some sort of psychiatric evaluation (I forgot the code number for this but since my bro used to be in law enforcement he could speak the language). The irony is that much of what RV said around the campfire -- though it was said in a drug-induced haze -- was poetry. The kind of poetry people like Jim Morrison wrote down and put music to. Jim, like RV and others, was high out of his mind when he rode the stream of his consciousness, but in a strange way his words made profound sense. In fact, some of the greatest poetry and literature and music of our time has been written by those experimenting with substances I am not condoning. I just think it's interesting, and my night with RV affirmed this, that it's bizarre how we herald so many artists and visionaries as geniuses because of the profound, often-psychotropic words they write, and yet a disheveled vagrant uttering these exact words to a group of strangers seems crazy and unpredictable. Genius and Crazy...much more closely related than I thought. Wow - what a trip. Glad you are all OK. Interesting evening to say the least. That is a crazy/scary story! I'm glad you all did the safe thing and headed back to your car and call 911. It's not a PC thing to say, but I think there might be a connection between crazy and genius. I was listening to a story about a pianist/composer on NPR a few mornings ago (didn't get his name), and the historian denied any connection between his genius and his growing insanity. And yet...it's such a common theme. I can't help but wonder! Demonic wives are the best. I'm so glad you shared this. That is too awesome! I love random conversations with strangers - crazy he just walked up to your bonfire! You're blog is so fun! I'm passing on the Versatile Blog Award and I picked your blog for my list of 15 blogs to choose. 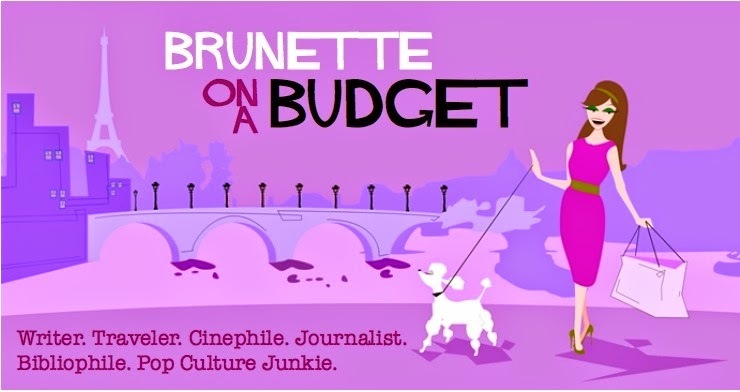 You can check out the award details over on my blog!